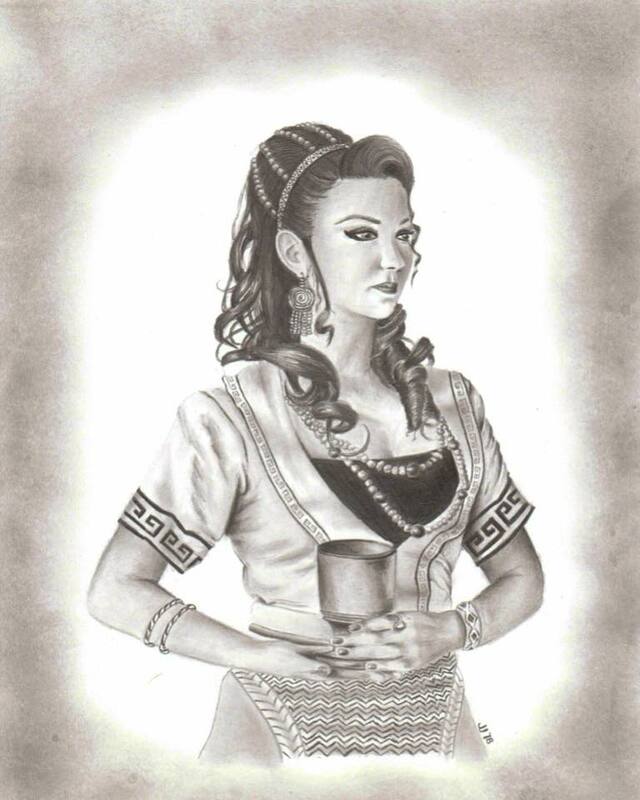 Spirit guide portrait of a Crete woman. Charcoal and graphite on cardstock. 2018.